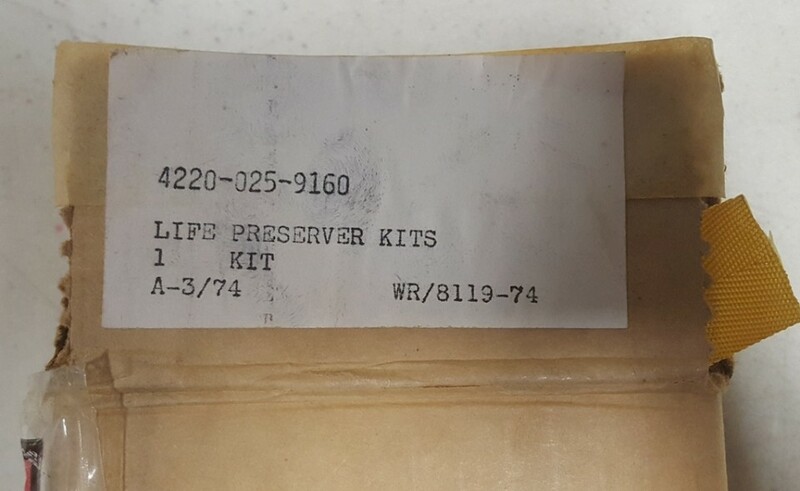 This is an original life preserver kit as issued to USN and USMC aircrews. 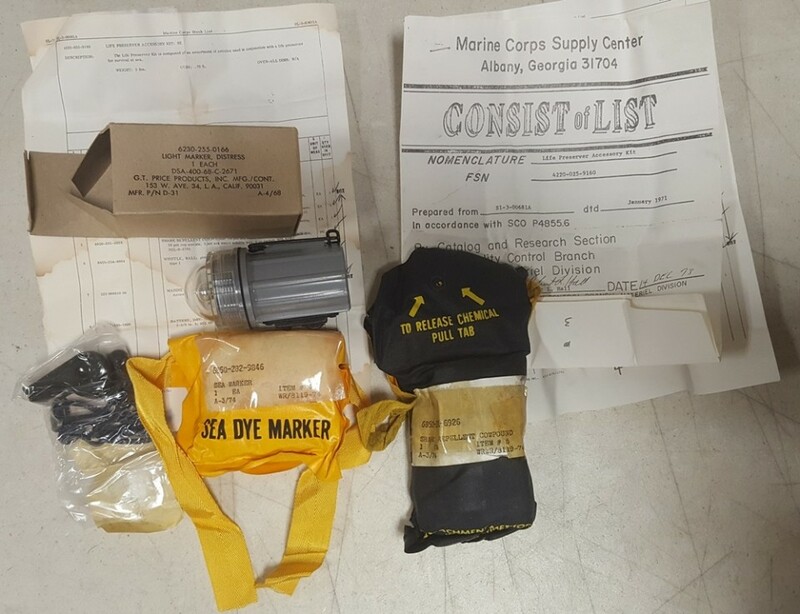 The kit consists of sea dye marker pack, shark repellant pack, whistle (1971 dated) and distress signal light (1968 dated). The kit also includes the original packing list.